I don't understand why people "friend up" complete strangers. It's an easily-avoided problem–just don't accept anyone you don't personally know as a friend. It's not that hard and frankly, if you are working, doing your chores, and having a real life, you really don't have time to be keeping up with more than about 30 people. It's not that hard, either, to be picky about your apps, although I think Facebook needs to put a tight rein on these apps and their creators. Want to rein in your potential ghosts? Then it's time to do like the rest of us do and organize all those hundreds of people like I did: group them and put restriction levels on what they see, what they access, and what your friends can post about you. Anyone who doesn't is blatantly irresponsible and really shouldn't be working a job anywhere anyway because they obviously don't know how to utilize technology, don't know how to separate work from home (i.e. be a professional), and they won't be very private nor secure with their company's information. This is nothing new. I used to be a PI, and would often get LOADS of information from people's social network profiles. I have long since stopped posting ANYTHING that could be taken in a negative light...since I kinda figured this "trend" of spying (if you will) would catch on quickly, and eventually employers, clients, future customers, and governments (local, state, and federal), would use social network profiles to gather information and even help convict people. WELCOME TO THE NEW WORLD!!! Social networks are not private and never have been. People should never enter personal information in a public venue and expect it to magically be private. In a paraphrase of my grandmother's tip about talking to children: Don't put information online that you don't want shouted from the rooftops. Facebook only recently started displaying people's phone numbers, and members had to go into their settings to make them private again. Mine was never entered in the first place. Or, you could just not have a Facebook account. And all of this goes away (or never is). Don't friend people you don't know and set all your security to friends only. One more reason not to friend people you don't know. I don't understand why some people want to be friend collectors. Are they really that desperate for attention? I have a protection order from a man who is an abuser and hurt my girls (peddo). He has often used facebook 'ghost' to get friend status from my girls and mysef. He even takes the time to first become friends of their friends then invites them. We don't accept any friends we don't know...so no friends of friends or anything suspecious. Collection companies do it too. I have a debt collector friend who says he has 6 ghosts, all attractive women, who friend men and try to pull as much as they can off FB – like if the person's working, they can get the work number. He's gotten several numbers that way that they were unable to skip trace. It's sick, but he says it works. When I get friend requests from someone I don't know, I check out their profile to see if they have any connection to me; i.e. mutual friends, a shared school or network, etc.. The people that I refuse and would consider 'facebook ghosts' tend to be those with the most generic and sparse personal information. 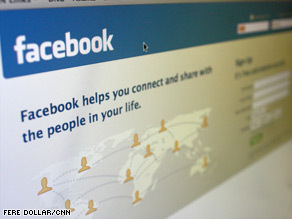 Facebook overall seems to be a big data mining operation, and it would be beneficial for more people to be aware of that. Hi John – to answer your question if this happens in other spheres of recruiting: yes. In fact, I'm assuming the sporting world took their cue from the corporate world. I'm a recruiter (corporate, not sports), and while it's not something I think is particularly ethical, it's been done on a regular basis by peers of mine since for years. Heck, I think some of them even tried it on Friendster, back in the day. Bottom-line advice for job candidates: get your privacy filters up, create lists (have one for off-color pics & remarks, eg, that only includes people you know well), and don't say anything you wouldn't want your interviewers to read. Because they probably will. Without ignoring all the advice to use good sense about facebook settings, there's at least one troublesome trend to this NFL ghost-profile thing. Why do so many Americans these days see little wrong with corporations (worth billions) waltzing into the privates lives of individuals? Is it for the sake of securing a measly paycheck? While one can't be asked about personal religious beliefs during a corporate interview, imagine what nuances might turn up in our facebook account? America as a society, perhaps with a few exceptions, has fought vigorously in the past to keep governmental intrusion at a distance. Why such easy acceptance of corporate intrusion a la NFL ghost-profile? How many degrees of difference are there between a corporation deceiving us to gain access to our facebook account and a corporation sneaking a peak at our cell phone record? Yes! I think there is still exist. Please look into it. God bless you and wishing you and your country fellows a Merry Christmas and a Happy New Year. Doug is the CEO & President at Mobilezapp. Doug is a scam and stolen form his employees many times. $25k cash ? He can't even pay $225 to his employees ! He has his profiles all over net not just on facebook, hired people from odesk.com as well, he is big time scams and still stealing from companies in USA . I was recommended this blog through my cousin. I'm not positive whether or not this publish is written by way of him as no one else recognise such designated about my difficulty. You're wonderful! Thanks! Thanks for some other informative web site. Where else may just I get that kind of information written in such an ideal way? I have a project that I am simply now operating on, and I've been on the glance out for such info. What is facebook security doing to solve the problem with Facebook ghosts who are hidden and we the user can not unfriend.? My ghost is called Liberty House. How are users going to remove this ghosts from our friends list.? Actually don't think this ghost is residing on facebook but on a hidden file within my facebook account. Also on facebook the security is https but then when you enter the games portion it changes to http and they want me to fix this??? DUH?? Maybe you have known which brand producing clothing have the ability to be the best possible one? The answer definitely may be the Moncler. The commodities under the Moncler include the representative of the luxury the way it has got such great reputaionaround the earth. For the commodities are constructed with the classy down, they can help you to definitely keep temperature even within the terrible winter, but the merchandises can be afforded by a number of people.All people prefer to choosing the Moncler clothes. The Moncler can be suitable to all people. Quite a number of people are able to choose the Moncler seeing that their wardrobe brand, and Moreover, they are likely that will elect the Moncler like a Christmas present for their particular friends. While it is spring and coil and autumn, the Moncler vest could possibly be the most appropriate one. http://www.funisdead.com/p-42.html 【訳あり】モンクレール 2012-2013年秋冬新作 メンズダウンジャケット CHEVALIER(シェヴァリエール)" ダークブラウン(243)"
http://www.funisdead.com/p-79.html 【訳あり】モンクレール 2012-2013年秋冬新作 ダウンジャケット EUSEBE(ユーセーブ) "グレーチェック×ブラック（900）"
This is so helpful! I feel like I should send you cash for this amazing material. Some nice points there. Es dif�cil encontrar a escritores con conocimientos sobre este asunto , pero creo que sabes de lo que est�s comentando. Gracias compartir un articulo como este. ??? ?iphone6 plus????? ?iphone6 iphone6 plus??? MCM iphone6??? ??????? ?iphone6 ????? 4.7?? ?iPhone 6 Plus ?? ?5.5 ??? ???? SAMSUNG GALAXY NOTE4?? ?CHANEL SAMSUNG NOTE4??????? iphone6?????????????? Hermes iphone6?? ?GUCCI iphone6?? ?